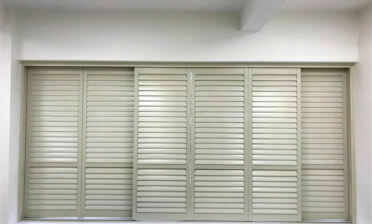 We were recently contacted to design and install these Bi folding track system shutters to a home in Dulwich, South London. 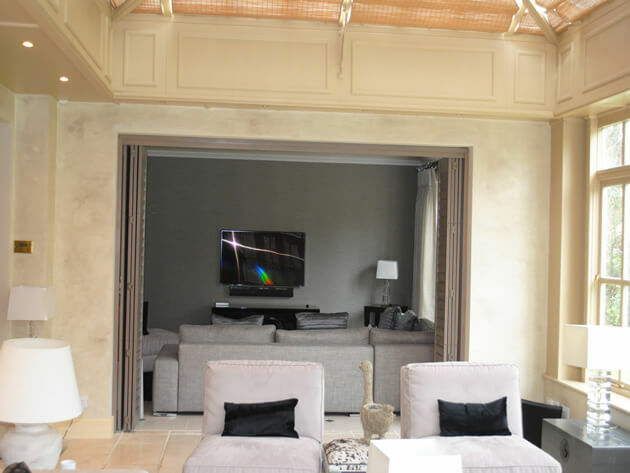 The shutters were needed to create a room divide between two rooms, one of which has an area with the TV. 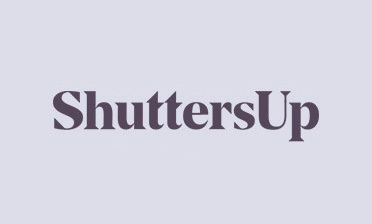 By fitting some of our track system shutters the client is able to easily slide open the shutters and also close when the rooms need to be split. 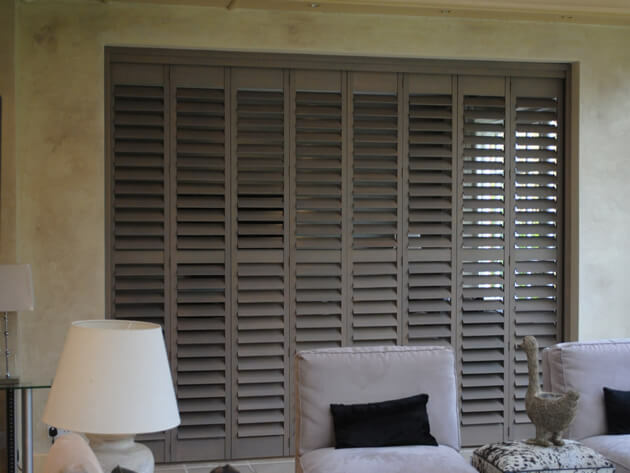 Using this style of shutters is a great way to keep the TV room closed off while other members of the family relax in the other room. 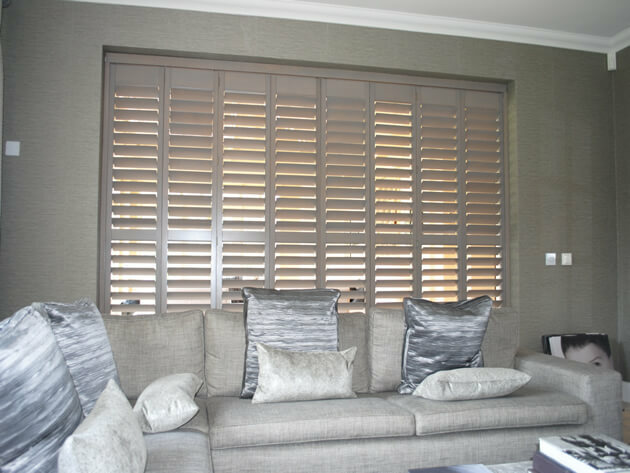 Wooden plantation shutters help to black out the TV room and keep the sound in. The shutters are full height with a mid-rail to help strengthen the high run of shutters. 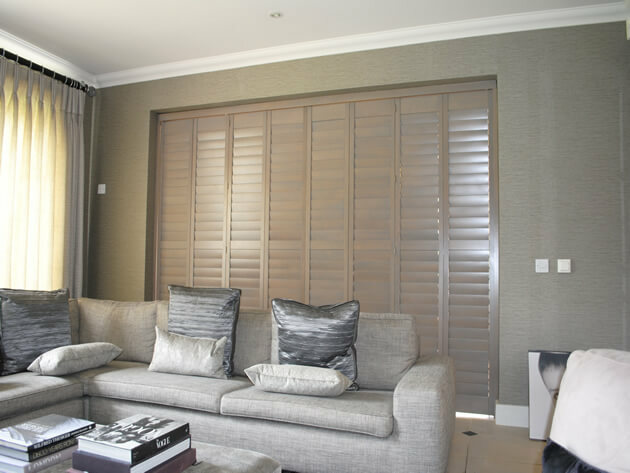 They feature 89mm louvres with a silent tilt rod system which allows for all the louvres to be adjusted without the need of visible tilt rods, which is ideal for the look of a room divider. 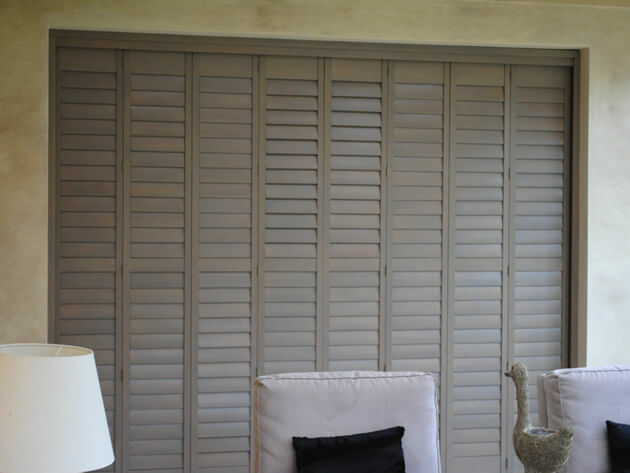 With input from the client and taking their existing decor into consideration, we finished the shutters in Rustic Grey and used Antique brass hinges.